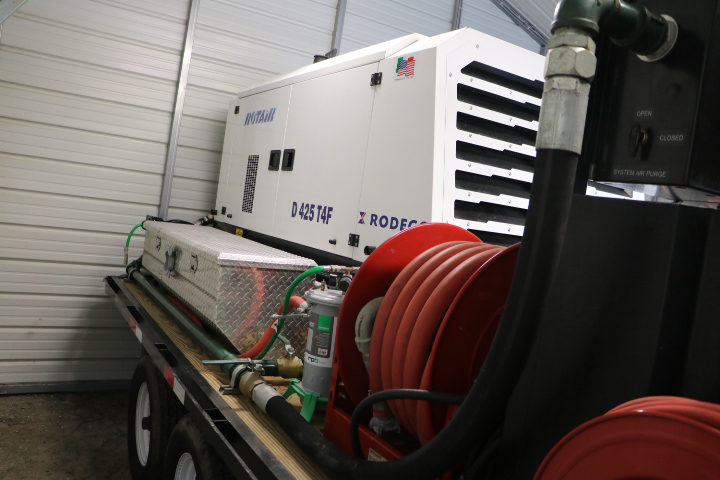 Rodeco Blast Solutions offers you quick access to operator safety and blast parts, portable equipment and rentals delivered quickly when you need it! For smaller customers who need to add another crew without a big capital outlay, we can offer a smooth transition. Rodeco Blast Solutions has the largest stocked inventory of the best names in operator safety and blast parts in the industry, and we can ship same-day! We also offer operator safety training and safety consulting to help you make the best decision about your next operator safety and blast parts purchase. Be assured your teams are operating the equipment safely and efficiently. Let us conduct a safety demo or an assessment of your equipment. We can identify and help improve your processes and supply any of the safety equipment you may need. SCHEDULE A SAFETY DEMO TODAY! Equipment is a huge investment, especially when you’re not sure it’s a good fit for your needs. With Rodeco Blast Solutions, we will show you how to use it, what it can be used for and go over the cost of maintenance with you so you know exactly what you’re buying. SCHEDULE A DEMO TODAY!Rodeco can show you the best equipment to fit your needs. With same-day shipping from Rodeco Blast Solutions, you’ll never have to wonder if your supplies will be there in time before you run out. We have a large inventory of parts and supplies that can ship the same day and get to you fast.